This 4 bedroom 2 bathrooms home is beautifully decorated with ensuite to the master bedroom. Open plan kitchen, dining with separate living makes it cosy or as open as you like! The next Picasso has left her magic touch around the house for you to admire. 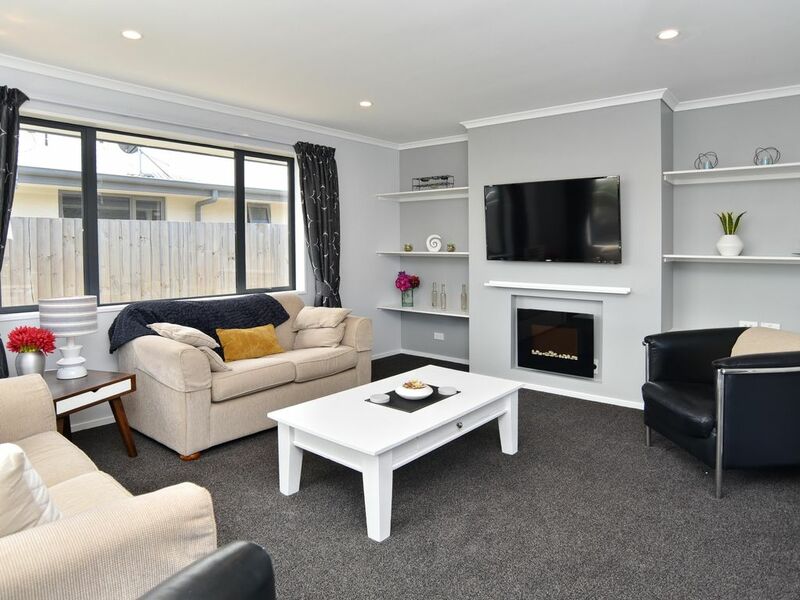 Walk to town and the fantastic riverside developments, where Kaiapoi boasts its supermarkets, boutique shops, local department store and cafe s galore. A short 15 min drive to Christchurch and 5 min drive to the beautiful beach. The journey of managing holiday homes since 2011 have gave us the chance to improve ourselves in giving the best experience stay to travellers. We are proudly to say that we are specialise in holiday homes for any size of groups and families. Our stay at this lovely property was extremely comfortable with plenty of room to relax, prepare and enjoy meals and dream away. Super clean interior with all new appliances. The washer and dryer were in the garage, but, it was so clean It was not a disappointment at all. There is a nice patio area, too. I prefer more lighting in bathrooms, particularly at the mirror, for makeup application and hair styling. But this was minor inconvenience. The location was a good jumping off point for day trips and was a very nice place to return at the end of the day. Extremely comfortable home, close to town centre. Plenty of space to spread out. Thankyou and happy new year!